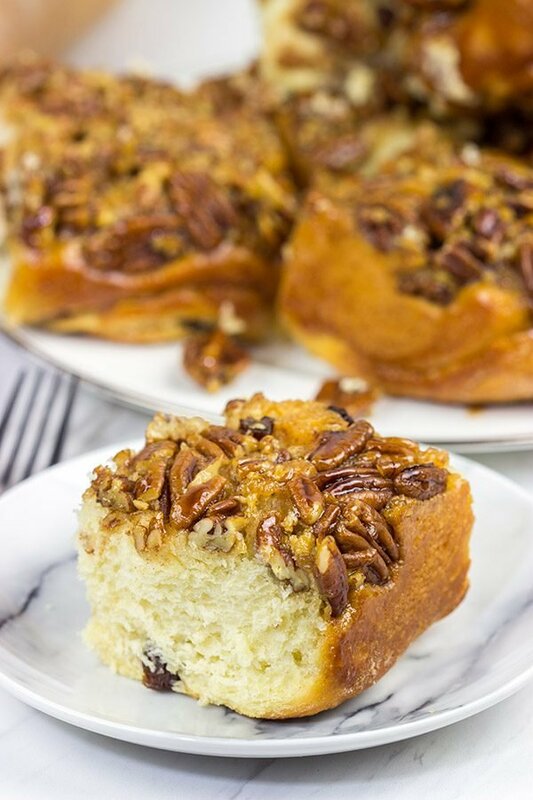 Schnecken - a tasty German cinnamon roll topped with pecans & honey! 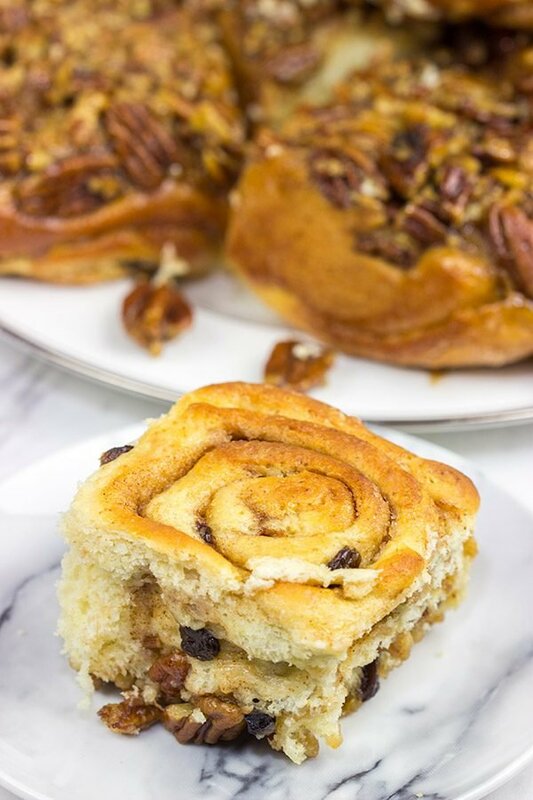 Likely the predecessor of American cinnamon buns, Schnecken are a German pastry topped with a gooey, honey pecan mixture…and they’re delicious! Schnecken, which means ‘snails’ in German, are essentially a German cinnamon roll. 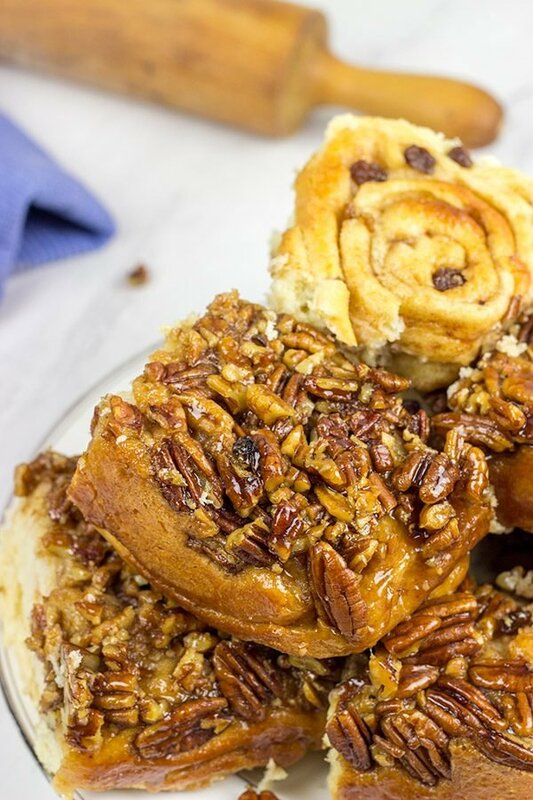 Except these cinnamon rolls are topped with a honey + pecan mixture that is so tasty you’ll be scraping up the bits off the bottom of the baking pan! I first learned about schnecken back in college when a former girlfriend introduced me to these amazing pastries. She was from Cincinnati, and apparently schnecken are a favorite in the ‘Nati. This makes perfect sense as German immigrants were among the first people to settle in this part of the country. I remember trying to make this recipe way back in college. I believe it was the Christmas break during my senior year, and I was back home in Raleigh. I decided to learn how to make schnecken in an effort to impress my girlfriend. The plan sounded great in theory…until my bowl of yeast blew up in the fridge overnight. Ok, ‘blow up’ is a strong term. More like ‘gradually oozed out of the bowl and all over the shelf’ is a better description. That was my first experiment with yeast, and it wasn’t a good one. Not to be dissuaded, I tried this recipe several more times over the years. What can I say? I’m a bit stubborn at times. I’m glad I stuck with this one, though, as this schnecken recipe has become one of my favorites. 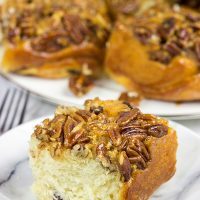 Soft, pillow-y bread covered in gooey honey-coated pecans. Are you hungry yet? I know I am! I took this batch into the curling club, and one of my friends just looked at me with a blank stare when I told him I made a batch of schnecken. He said (and I quote): “That sounds like something teenagers used to do.” He’s hilarious. Even though the yeast monster took over my fridge when I first made this recipe, don’t let that discourage you! Just make sure you put the dough in a large bowl as it will rise overnight. Schnecken are a bit unique in that they get refrigerated overnight. However, in my opinion, that actually makes this recipe easier as you can take care of the dough on Day 1. Then on Day 2, you just need to roll it out, fill it and then let it rise for an hour. Trust me when I say the process is worth it! Cheers, friends! 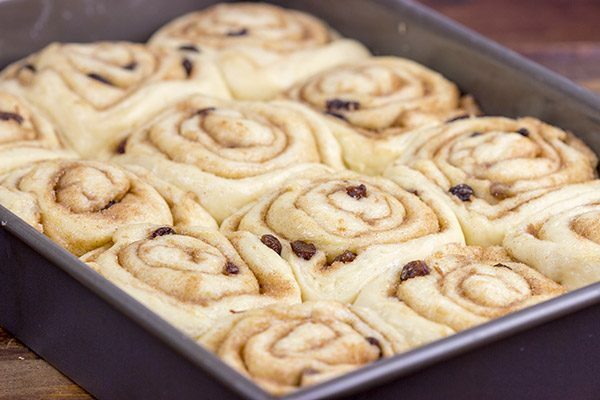 Did you make a batch of these Schnecken at home? Leave a comment! Or snap a photo and tag me on Instagram (@Spicedblog). 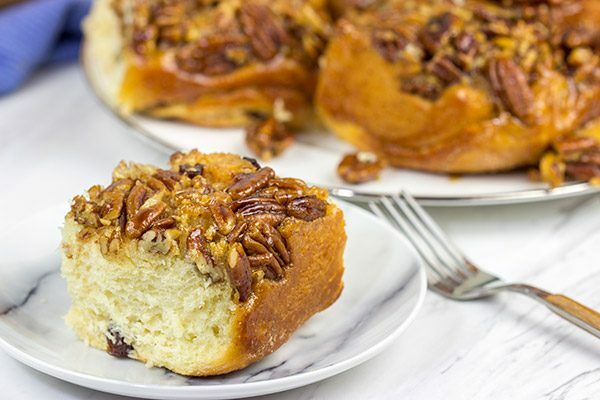 Arguably the predecessor of American cinnamon buns, Schnecken are a German pastry topped with a gooey, honey pecan mixture...and they're delicious! Using a countertop mixer fitted with dough hook, add flour, sugar, yeast and salt; stir until well combined. Add softened butter, eggs and warm milk; stir until well combined. Increase speed to medium and mix for 4-5 minutes. Transfer dough into greased bowl, cover with plastic wrap and refrigerate overnight. The next day, transfer dough to a well-floured countertop and roll into a 12” x 18” rectangle. Lightly beat egg with 1 Tbsp of water and brush 1” of one of the longer edges with this egg mixture. Brush the rest of the dough evenly with 4 Tbsp of the melted butter. Using a small bowl, combine the sugar, brown sugar, cinnamon and lemon zest; mix until well combined. Spread this mixture evenly on top of the melted butter. Sprinkle raisins evenly on top of the sugar mixture. Beginning with the long edge that was not brushed with the egg, roll dough up into a tight cylinder. Using a small bowl, combine the honey, light corn syrup and the remaining 4 Tbsp of melted butter; stir until well combined. Brush this mixture evenly onto bottom of a well-greased 9”x13” baking pan. Spread chopped pecans evenly into bottom of the pan. Cut dough into 1½” slices and place each slice cut-side down into prepared pan. Press dough lightly with hand to help push pecans into dough. Cover pan lightly with plastic wrap and place in a warm location for 1 hour. Remove plastic wrap and bake schnecken for 32-35 minutes, or until lightly browned on top. What a wonderful roll! That honey pecan topping is everything! Oh man, that honey pecan topping! I’m not kidding one bit when I said that I scraped up any leftovers bits out of the pan. 🙂 Thanks, Kelly! So I’ve never heard of schnecken before but what a fun word to say – schnecken! 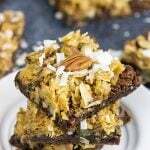 I love the idea that these have a slow rise in the fridge overnight and I love the topping of pecans and honey. What a delicious combination. Haha! Schnecken is a fun word to say. I only know about these magical creations thanks to my girlfriend from college…but man, am I glad I discovered them! I found schnecken in a grocery store bakery in Atlanta years ago, and I grabbed the package. It was seriously disappointing. This homemade version is way better! Definitely put this one on the radar, Kathy. I suspect the batch wouldn’t last long in your house! They’re beautiful! I love cinnamon buns made with yeasted dough. All of our first yeast experiences are so funny. Glad you persisted. Yeah, that first experience with yeast was a bad one. I had covered the bowl with plastic wrap, and I even put a huge rubberband around it. The yeast grew so much that the rubberband went flying off sometime in the middle of the night. Haha! But now I am a HUGE fan of yeasted cinnamon buns…and bread. Mmm…bread. 🙂 Thanks, Mimi! Oh, I am most certainly mad now, Ben. Cinnamon rolls boring? We can’t be friends anymore. 🙂 Schnecken definitely need to be on your radar, though. That honey pecan topping is seriously worth licking the pan to get it all out! I agree! Schnecken is such a fun word to say. And the good news is they are even more fun to eat than to say! 🙂 Thanks, Kelsie! 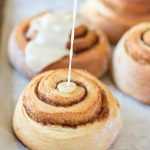 Cinnamon ‘Snails’ just doesn’t have the same ring to it… 😉 Schnecken is such a fun word…and these look almost TOO delicious! I’d definitely be scraping all the goodies from the bottom of the pan. Mmm, how good does this look? I have never tried it before. Can’t wait to make this soon! Very impressive sweet. David, my German grandmother used to make these every Saturday. It was like a ritual, we’d sit down and eat our Schnecken and drink a glass of milk. But it came at a cost, it was my brother and my responsibility to pick up the pecans in her backyard and shell them. That’s why I always buy shelled pecans now. Thanks for the memory. David, I’m so glad you persevered inspite of that yeast blow up cos THESE! These look so good – the soft texture inside inspite of the rolling and stuffing looks wonderful! 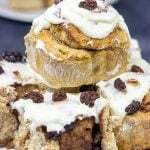 I used to work in a bakery when I was in college and “sticky buns” with caramelized pecans were on the menu and your “schnecken” remind me of those! I kinda like the fact that these proof in a fridge overnight – makes breakfast the next day a lot easier! Happy weekend my friend! My morning coffee NEEDS a plate of these right next to it! How delicious! Yes! Schnecken and morning coffee go together like Sonny and Cher! (Well, before they broke up and all. Haha.) Thanks, Valentina! So Laura and I are traveling to Germany this summer, and I can’t wait to hunt down some schnecken over there! All I know is this version is insanely delicious! If you make a batch, just know there won’t be many leftovers. 🙂 Thanks, Karen! You are going to love Germany, I can’t tell you how many times we have visited over the years…so much to see and do. We’ve been to Cologne and the Black Forest regions before, and I loved those areas! This year our travels take us along the Elbe river, and then we’ll spend a couple nights in Berlin. I can’t wait!! Thanks, Karen! Thanks for the kind words, Neil! I think this recipe should give you an incentive to do that big fridge clean out. 🙂 Laura and I are going to Germany later this summer, and I’m excited to hunt down some schnecken over there! You mostly find Schnecken filled with raisins and custard or hazelnuts, but not with pecans (they are not very common over here and more on the expensive side). And sometimes not as fluffy but rather crisp and thin. Also fried in donut style filled with apples, depends on the area where you are. So as snails they come in all different styles. And by the way, slugs are called Nacktschnecken (naked snails) 🙂 . Have fun Germany where ever you go to. Ha, love your story of attempting Schnecken for the first time! I think I might have eaten one of these in Germany, but I didn’t know that’s what they’re called. These sound yummy! You know, I think most people have at least one story of “when yeast went rogue”! I’m glad I stuck with it, though, as I love making yeasted doughs. Homemade breads and other treats (like these Schnecken) are one of my favorite things to make! Laura and I are heading to Germany later this summer, and you better believe I’ll be on the lookout for Schnecken there! Hmmmm…snails, you say? I dunno about that, but these look divine! Never heard of, but they do look something like a cinnamon roll. Considering it’s Friday and the start of the weekend, I could totally go for a couple of these right about now. Extra honey and pecans on mine please 😉 Happy weekend! What? You don’t wanna dig into a plate of snails? 🙂 So Schnecken are indeed closely related to cinnamon rolls, although I believe this version is a bit more “Americanized” than the German version. Still quite delicious, and the honey + nuts on top is a delicious combo! Thanks, Dawn!